This is a great physics-based skill game. Your job is to have human head touch the zombie head and collect all the stars to get our sun back. 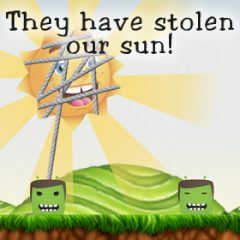 Games Similar They Have Stolen our Sun!